Who can you trust for your smile makeover? Your dentist in Allen, Dr. Pennie Moreland at Southern Star Dental, has the expertise and artistry for your smile enhancements. Building on good oral health, she uses precise cosmetic dental treatments to improve appearance and self-confidence. 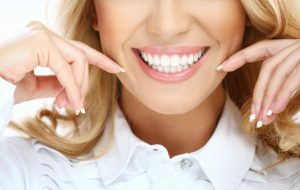 The cosmetic dentist in Allen approaches smile makeovers with comprehensive oral examinations, including X-rays. A smile must be free of tooth decay, gum disease, bite and jaw joint defects and other issues before undertaking aesthetic changes. At Southern Star Dental, Dr. Pennie Moreland and her dedicated team combine skills and experience to thoroughly evaluate each smile individually. She checks for healthy tooth enamel, proper bite, intact gums and other indicators of oral health. Preventive and restorative dental treatments form a solid foundation for outstanding cosmetic changes. Once she understands your mouth well, the dentist considers your individual aesthetic goals. She listens to patient ideas and desires. Then, Dr. Moreland composes realistic makeover plans with a truly artistic touch. When choosing an Allen cosmetic dentist, learn what treatments she delivers and how much experience the doctor has. For example, if you want veneers, your cosmetic dentist should be able to show you before and after photos of actual patients or point to customer reviews of her services. Also, the dentist should explain the risks of aesthetic procedures and how to care for a particular treatment. Dr. Moreland offers different options and works to truly complement your unique facial features. Tooth-colored fillings treat cavities without the obvious dark look of metal restorations. Perfectly matched to tooth enamel, the composite resin material is strong, bonds to existing tooth structure and blends in with the rest of a healthy smile. Composite resin bonding uses the same tooth-colored blend of glass and acrylic. The fast, painless process repairs chips, cracks, pits, and other minor defects. Hardened with a special light, composite resin repairs last and look absolutely seamless. In-office and at-home teeth whitening employs concentrated hydrogen peroxide gel to remove stubborn discoloration related to smoking, diet or medications. Teeth whiten by as many as 8 shades in about an hour at Southern Star Dental or more gradually at home. Porcelain veneers are tooth-shaped shells of dental grade ceramic which cover deeper stains and issues with the shape of selected teeth. Permanently bonded and very strong, porcelain veneers enhance smiles dramatically, but no one except the patient and Dr. Moreland know they are there. All-ceramic restorations, such as dental crowns, bridgework, and inlays and onlays restore smiles and replace teeth with lifelike porcelain. Smile gaps and failing teeth with multiple fillings, in effect, disappear, and teeth look beautiful and function well. Which Cosmetic Dentist Should You Select? Of course, we recommend our own Dr. Pennie Moreland for a cosmetic treatment plan you can trust. Bring your ideas to your smile analysis and learn what your cosmetic dentist can do for you. Contact Southern Star Dental today for a personal consultation.